The Human Rights Commission on Thursday released a report detailing state violence against “vagrant” children in a facility in Gyeonggi Province, which the commission believes to have lasted for some 40 years from 1942-1982. The report claims that some 4,691 children were kidnapped, brutally abused and coerced into harsh labor. Although the facility, named Seongam Hagwon, was characterized as a shelter or welfare institution for vagrant children or orphans, the report reveals that many of the children in fact had parents and family. Many of the children died after enduring abuse and malnutrition, according to the report. Kim Young-bae, one of the survivors, was 9 when he was taken by police officers at Seoul Station in 1963. He was on his way to visit his sister in Seoul; he says he was sent to the Seongam Hangwon after he told the officers that his family lived in Gyeonggi Province. He said the children were poorly fed and frequently beaten. When a child did not follow “orders,” the authorities would try to extract their nails using a pencil as a method of torture. The children were also forced to do harsh labor, such as plowing the ground, working at salt farms, stock breeding, raising silkworms, and carrying heavy goods. “My colleagues and I had to endure terrible frostbite every winter because we had no socks and gloves, and we had to work outdoors,” he said. 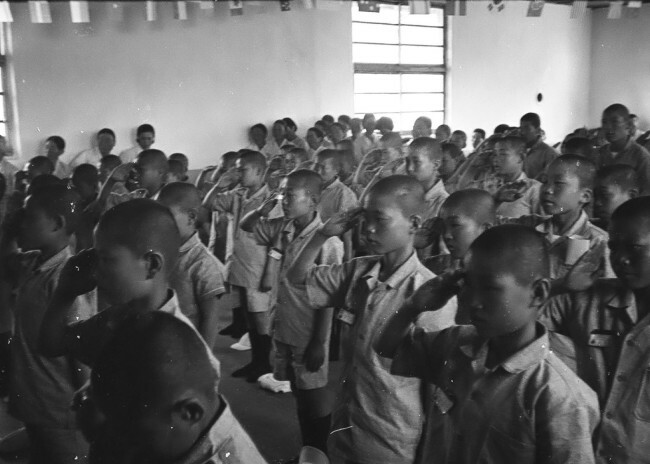 Indeed, the report says the young victims were kidnapped by police officers or civil servants and placed at the facility, which was founded in 1942 by the Japanese during the colonial era to train child soldiers. The children were forcibly placed at the institution, which was handed over to the Gyeonggi Provincial Government after the country’s 1945 liberation from Japan, for reasons such as not having memorized their home address or not having dressed properly, according to the report. Once inside, they were unable to leave the institution, other than by escape. Researchers interviewed 28 living survivors and found that 75 percent of them had been taken to the facility by police officers or civil servants. Almost half of them lived as homeless beggars after leaving the institution. The report also revealed that 81 percent of the 28 had never received any education or only attended elementary schooling. At the same time, 25 percent knew how to read but did not know how to write. Almost 18 percent of them were completely illiterate. Partly because of this, 40 percent of the survivors are currently earning less than 1 million won ($900) a month. “It’s been 36 years since the Seongam Hagwon closed down, and the victims are now in their 50s and 60s,” said Rep. Jin Seon-mee of the ruling Democratic Party of Korea at the National Assembly on Thursday. The victims are asking for official acknowledgement of the damage they suffered as well as an apology. They are also asking lawmakers to pass a special law to initiate an investigation into the case and make it possible to punish those who were responsible for the human rights violations. “We lived in a facility that was no different from Auschwitz,” said Lee Dae-jun, another living survivor, in a statement.